Greetings... just signed up as I am considering placing an order for a GTI PP very soon. I've currently got a 1.4 TFSI 65 plate Audi A3 S-Line. Had it from new. While I love the way the car looks and love its interior; the way it drives has always left me wanting a little more. It's fine on a cruise but on the twisty stuff there's not a lot of excitement to be had. Anyway the time is coming up to replace it and having had some quotes from Audi, the new models are crazily expensive - I'd say a good 25-30% more than I paid like-for-like 3 years ago. I've always wanted a Golf GTI but for some reason right at the last moment I've always opted for something else. But I think this may be the time. I've had an offer from my local VW dealer on PCP for 3k down and 48 x payments of £348. This is for 5k miles pa (I'll do more, but no one ever pays the surcharge anyway). Added a few extras - Isaac Blue, 19 inch Brescias (I really don't like the Parkers, not sure why they changed them on the 7.5, the standard wheels on the 7 were fine) and Dynaudio upgrade. Anyone placed an order for similar in the past six months? How does this deal compare? Am I being offered a good deal or taken for a ride? Cheers. Nearly £20k to borrow a car for 4 years? Seems an awful lot to me for 5k miles per year when you can buy the car outright for little more than £28k and do as many miles as you like. Have you tried Drive The Deal or Carwow? Here is a lease deal for a Golf R, same miles but lower monthly payment, lower deposit and only 3 year term instead of 4. 1. I don’t want to empty my savings to buy a car outright. 2. If I do back to back PCPs and have a brand new car every fours years for £20k vs someone who pays £28k up front then another 4 years later pays another £28k, who’s actually being more astute? I don’t buy the ‘but you don’t own the car’ argument either. 3. I don’t like the R. It looks too bland. The GTI styling is much nicer. 4. On PCP I can state 5k miles and do 10k and no one will care because I’ll sell the car privately or to WBAC before the end of its term, so excess mileage and any negative equity is irrelevant. You don’t have as many options on a lease and may have to hand it back. I’m also considering an S3 for the same terms. Obviously much higher running costs on the S3 though. 1. Fair enough. I was simply giving the cost of your deal some context. I assume your deal was for dsg 5dr? If not the manual 5dr is £1k cheaper. 2. Someone who pays £28k upfront won't be paying another £28k 4 years later as they'll have a car worth £13k to trade in. At the end of 8 years they'll have paid out around £43k (or around £46k if bought with a cheap loan) and will own a 4 year old car worth approx £13k. The person doing 2 PCP's will have paid out £40k and won't own anything except the possibility of some equity towards another car. 3. Fair enough. Obviously there are lease deals available on GTi's as well, but i'm sure you probably already know this. 4. I'm not sure how negative equity is irrelevant. If the rear end drops out of the used car market and WBAC offer you less than your GMFV, then the difference is your debt to pay. Also if I were a private buyer i'd be very wary of buying a car that showed up on a HPI check as still having a large amount of finance owing on it. But i'm sure you've thought this through and are happy to take the risk. Agree that leasing is less flexible, but it does give you a bit more certainty in what you'll end up paying out and you can extend for a few extra months if you need to. S3 is a nice car, completely understand why you'd be wanting one of those. If you're happy with your deal, then it's your prerogative to go right ahead. But at the very least i'd be asking Drive The Deal or Carwow for a quote for comparison purposes. Or if you just don't trust my opinion, then maybe post your question here and see if any forum members can offer you more help than I can. Cheers for your reply. I went via CarWow and a local dealer matched it. But I wasn’t sure if it was a good deal or not based on what others have paid. Tbh I’m leaning toward the S3. It’s got less toys but runnings costs are practically the same and owning an A3 at the moment the four rings are luring me in. 1. Drive The Deal usually beat Carwow on price in my experience. Not always by a long way, but if price is top priority then it may be worth giving them a go. The downside is though that the dealer they put you in touch with may not be local. You could however take their price to your local dealer to beat them down further. 2. Both the Golf and A3/S3 are due imminent replacement (by the end of the year) for all new models. Would this bother you? Even if it doesn't there is the possibility of further drops in price over the coming months. 3. 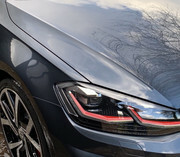 I know you don't seem keen on leasing, but just bear in mind that if you were able to lease over 3 years for the same annual cost as PCPing over 4 years, you could avoid running a car outside warranty and the possibility of an expensive repair bill in the final year of your deal. Thanks, will try Drive The Deal. Yeah I know new models are due. Audi pricing has gone mad so probably won’t have another next time. My current PCP expires in September but any new order has a 3-4 month lead time. I didn’t want to risk lack of availability on the GTI PP or S3 as they wind down production nor risk further price rises if the pound drops further against the Euro after March 29th. I’m not opposed to leasing, I’ve just not found a deal any better than PCP and there are usually more strings attached with a lease. S3 is very tempting (new model won’t be out till at least 2020) but they do lack a lot of the standard kit you now get on the GTI. Everything is a £1k option with Audi lol. I've used them before (Fiesta ST) and have used them again to order my Golf GTI Performance. It's been over 12yrs since my last GTI. Ordered mine in December and it's on route - hoping for this month sometime. Mine is GTI Performance, with 19" Brescia wheels plus 90% window tint, 3 door, everything else standard. Like you were quoted, 3K down with 1500 contribution from VW and 48 x 285 payments, based on 7000 mile a year. Downside is travel from Newcastle to Kent to get it but the upside is I get to drive it all the way back!